I have now been able to have a detailed look at some of the relevant Polaroid images that appear to show objects in the Museo Arqueologico Nacional, Madrid (see earlier story). I have chosen one piece at random. This appears to be Madrid 1999.99.53, an Athenian black-figured amphora attributed to the Priam painter (and the reverse side of one of the amphorae illustrated in The Art Newspaper report). This pot is reported to have been in an anonymous New York private collection before it was auctioned in December 1997. Less than two years later it was sold to the Madrid museum. Those who are sceptical about the link between items featured in the Medici Dossier and the looting of archaeological sites should observe the amount of mud still attached to the amphora. 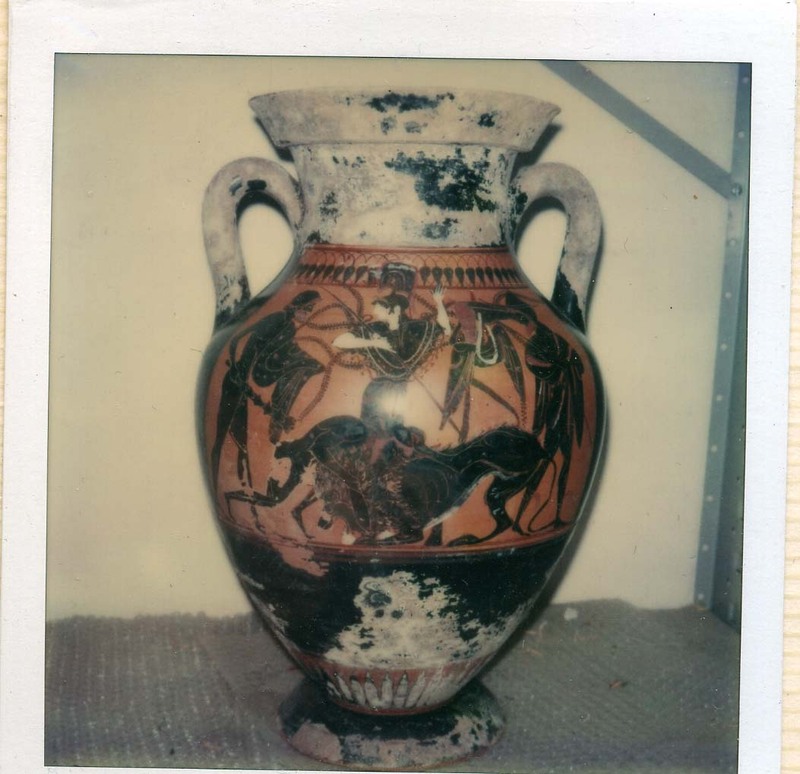 (Notice mud on an Athenian red-figured krater that also appears in the Medici Dossier but not in Madrid.) This amphora does not appear to be a pot "from an old European collection". Indeed its complete nature would suggest that it has been removed from a tomb. Amphorae attributed to the "Priam painter" have been found at various Italian sites including Cerveteri, Chiusi, Fratte, Tarquinia, and Vulci. One has been found at Megara Hyblaea in Sicily. It thus seems quite likely that this amphora was taken from an Etruscan cemetery, but we should not forget that the amphora's original context has now been lost. 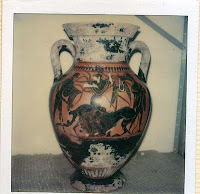 Polaroid image of Athenian black-figured amphora from the Medici Dossier.